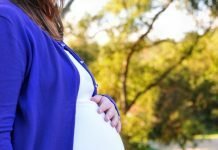 When thinking about hypnobirthing techniques you should know that these are used for women to maintain a positive mindset and to be able to give birth naturally without the use of pain medication. If you use these techniques you won’t have any negative thoughts. If you want this to work for you, you have to make sure that you are committed towards it. This way a whole new world will be opened in front of you. This will help you during your pregnancy and also during childbirth. The best thing about it is that it will improve your everyday life as well. These affirmations of the methods of hypnobirthing are positive suggestions that help you achieve a given state of mind. You could write them on a piece of paper and pin it near the bathroom mirror so that you can read them in the morning when you wake up and in the evening before going to bed. Another thing you may try regarding the hypnobirthing techniques is to record yourself saying out aloud these affirmations and to listen to them throughout the day. Start with writing down statements that make you feel good and safe and that invoke peaceful and loving feelings. If you are thinking about hypnobirthing methods this might be the most important thing that you have to remember. It sounds pretty simple, right? You should have no doubt in your mind that everything will be just fine. Also forget about complaining and embrace all the feelings that pregnancy makes you feel. Since you are using hypnobirthing techniques most probably there will be some people who don’t agree with you. Such negative opinions might come from family, friends, you doctor or even complete strangers. Make sure that their fears and opinions don’t get to you and that you will stand firm. If you know for sure that there will be some negative situations about the hypnobirthing approach, you should make sure to avoid them by all means so you won’t have to face them until after you gave birth. It is true that you can’t always achieve this, so there is another step that you have to find out about. 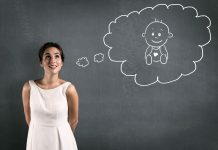 You should think of these hypnobirthing techniques as creating an imaginary bubble around yourself that protects you and the baby through repelling the negative ideas, thoughts, suggestions and energies. While it keeps the bad things out, it is supposed to keep the good things inside. In order to use this approach of hypnobirthing all you have to do is to find a quiet spot and relax. After this try to imagine your body wrapped in white light. If you are relaxed enough, you can almost sense this light around you. Focus on feeling love and peace. There are a lot of different hypnobirthing techniques that you could use so find the one that works for you.